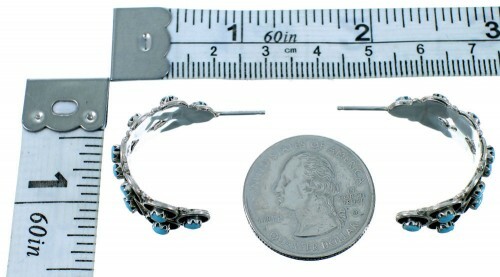 Post hoop earrings measure approximately 7/8" long (including hook) and 1/2" at widest point. The beautiful features in this pair of earrings will make you appreciate Native American art! 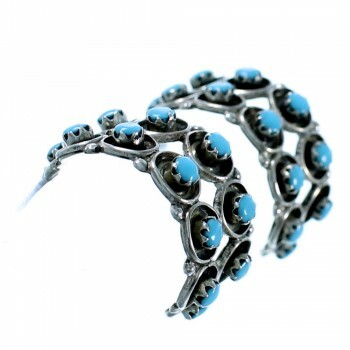 This piece of Native American jewelry is Zuni hand crafted by artist Bowannie, out of genuine sterling silver and real Turquoise stones. 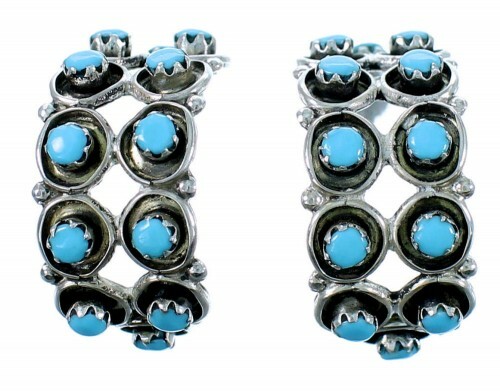 This pair of earrings has a total of TWENTY FOUR stone (TWELVE in each earring) that are carefully set in hand cut bezel settings, while being accented by mini silver beads for a beautiful look.